I don’t think that since the birth of television, something that lived so short left such a deep and lasting impact in popular culture. After a recent Firefly re-watch I decided to write a few words about it. 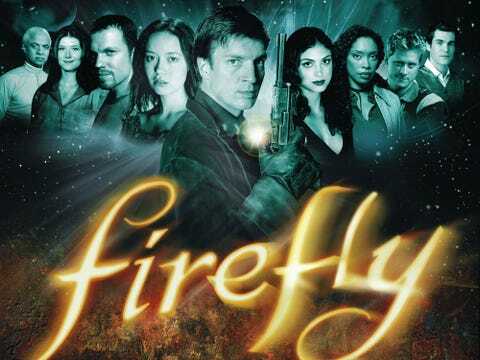 The story of Firefly is all but incredible. It was a show created by Joss Whedon, after his success with Buffy the Vampire Slayer and Angel. He said that he had wanted to make a western but since he loved spaceships so much, he decided to place it in space. He described is as a story of nine people looking at the darkness of space and all seeing different things. 14 episodes had been made before the show was canceled by the Fox Network. I often think that the person who made this decision still hides this fact in shame, hoping that it will never be revealed. In spite of the cancellation, the show has managed to cause quite a stir. In the time without social networks, disgruntled viewers started to express their discontent at bulletin boards and by letters to the network. Over time, a few small snowballs have turned into an avalanche. The fans started calling themselves Browncoats and the movement was so strong that it was eventually decided that a movie be made, in which the story would be concluded. The set was rebuilt, cast and crew were gathered and Serenity was made. The Browncoats have done the impossible. It was the first time in history of television that a movie was made on the base of a canceled TV show. Still, it was not the end. The Browncoats continue with their fandom activities. Cast often appears at conventions, and always to a full audience. At the 2012 San Diego Comic-Con for a 10th anniversary panel, ten thousand people lined up to get into the panel, and the panel ended with the entire crowd giving the cast and crew a standing ovation.The dream that the show would be continued still lives. My Firefly story is somewhat backwards. I was first introduced to the Verse via Serenity, the movie. After watching it, I went online to find out more about it, because it seemed as if something was missing. Then I discovered that it was preceded by a TV show. I managed to get my hands on it somehow, and then I watched it. Needless to say that I was hooked. And heartbroken. The series takes place in the 26th century. A part of the universe was colonized, and while central planets are well-off, the frontier is similar to the wild west. There are also echoes of the American civil war, as the two main characters fought on the losing side, which is reminiscent of the South. There are technologically advanced societies and their total opposites. The setting is a bit odd but in my opinion it was exciting and presented great possibilities for future plot developments. There are 10 characters: 9 people and the spaceship. This is basically a character-driven space-opera with elements of western. All characters are well developed, with detailed back-stories, but in my opinion female characters are particularly good. The ship deserves to be singled out. It is a character in its own right. The set was constructed in one piece and gave the impression of a real spacecraft. Shaped as an insect and very maneuverable, it has the aura of a thing with a soul. I will not write about other characters and episodes individually because each of them easily deserves a separate blog entry. What I must mention is the writing. The dialogues are so lifelike and witty that they resound long after the viewing. Special effects and camera are another thing that should be mentioned. It was the first time that shaky camera was used to record the movement of a spaceship, as if the camera was attached to the ship itself. 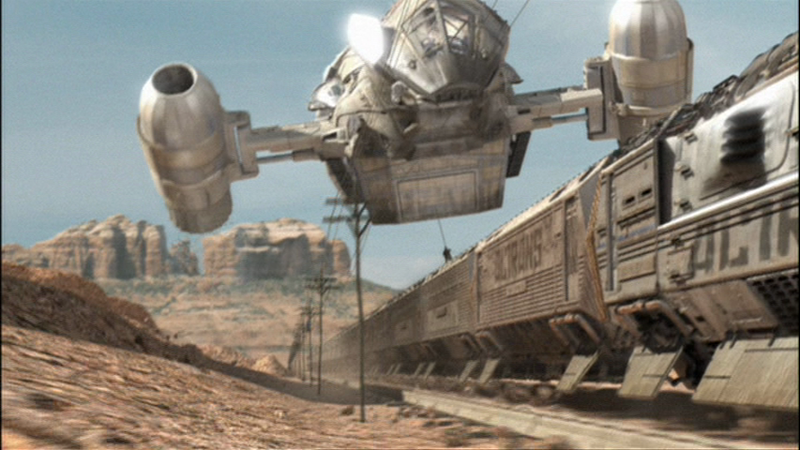 The same technique was later used in the new Battlestar Galactica. Also, the music and costumes are incredibly well incorporated in the setting. It is clear that a lot of very talented people put a lot of thought and effort into their work. 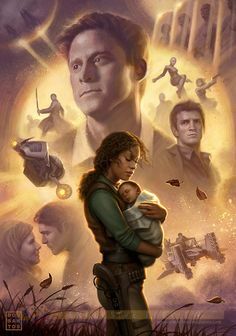 Apart from the 14 episodes plus movie feature, there is also a documentary about the Browncoat movement and the actions that lead to Serenity, the movie. There is also a novel by Steven Brust, My own kind of freedom, a role playing game, and a series of comics depicting the events not shown in the series. Regarding the grade, I do not think that there is a high enough grade that I could use for this show. Orson Scott Card has described it as the greatest SF show ever. Then he corrected himself and said that it was the greatest TV show ever. I would not go to that length but I see where his statement comes from. What makes the series so good, in my opinion, is a perfect balance of pathos and humor. The characters have tragic events in their past, they live in a harsh environment and struggle for survival on a daily basis, but they have an optimistic streak, a very dry wit. So you end up crying and laughing at the same time. And that is life.